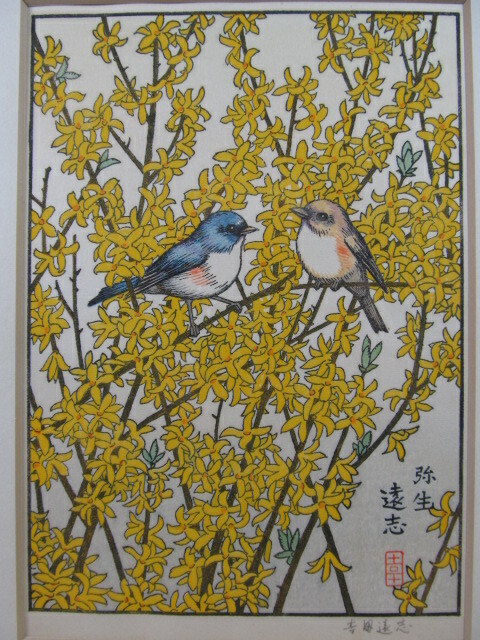 Toshi Yoshida produced three sets of woodblock prints for the Franklin Mint. 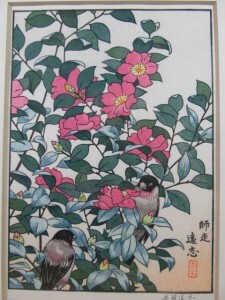 The Friendly Garden (consisting of 3 prints), Birds of the Seasons (consisting of 4 prints) and a 12 print “calendar print” set depicting birds and flowers. 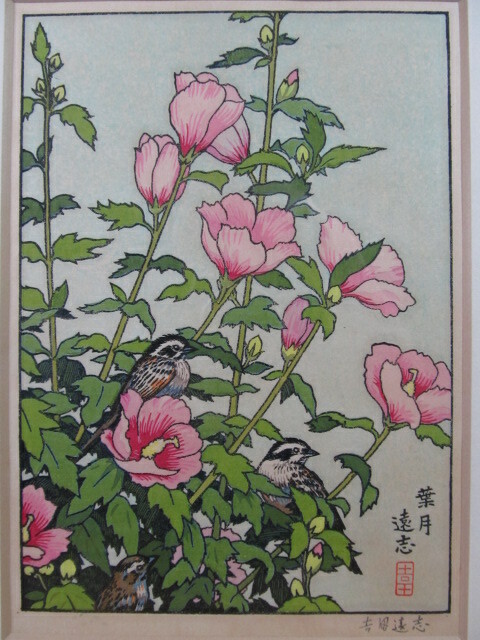 “This is to certify that the print accompanied by this certificate is one of 12 original Surimono woodblock prints in The Flowers and Birds of the Oriental Year collection created by Toshi Yoshida and issued in limited edition by the Franklin Gallery. 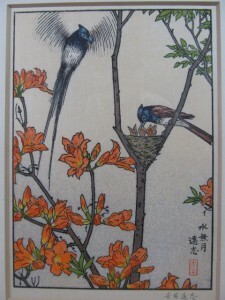 Surimono translates literally into “printed thing,” and generally indicates a print that was privately issued or limited edition commissioned prints that are not placed on public sale. I’ve not previously seen the entire calendar print set displayed together on the web before so have listed them here for reference (n.b. I don’t own this set). 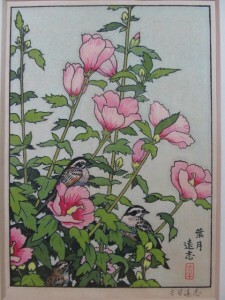 The woodblock prints are chuban size with what appears to be the standard Yoshida/Franklin-Mint teak frames with rounded edges. 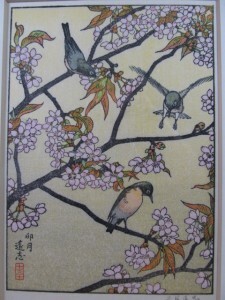 Unlike the much larger sized Friendly Garden and Birds of the Seasons prints the mats are not silk covered. 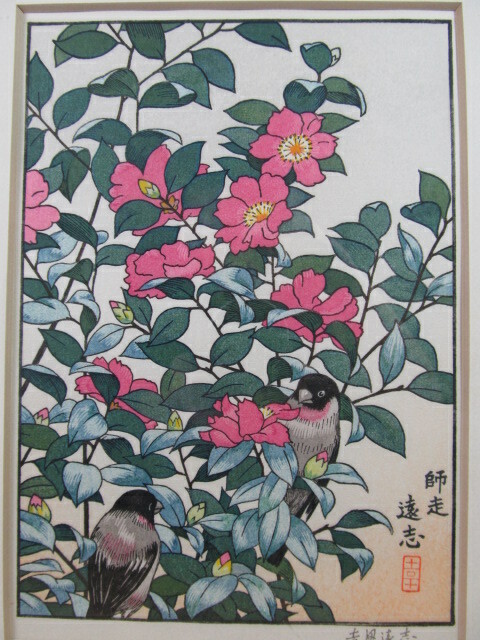 I don’t know if that’s usual or these particluar prints have been re-matted however the back board of the frames have a large label in kanji so appear to be original. 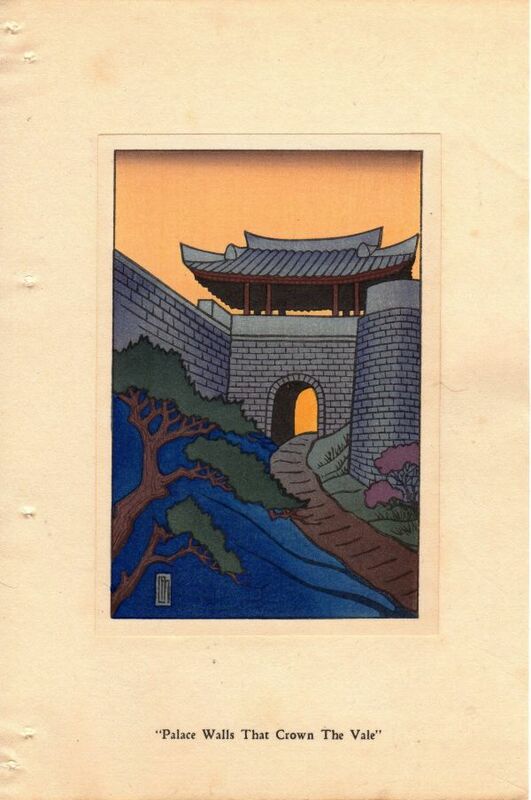 Presumably this patricular set below was for the Japanese market. 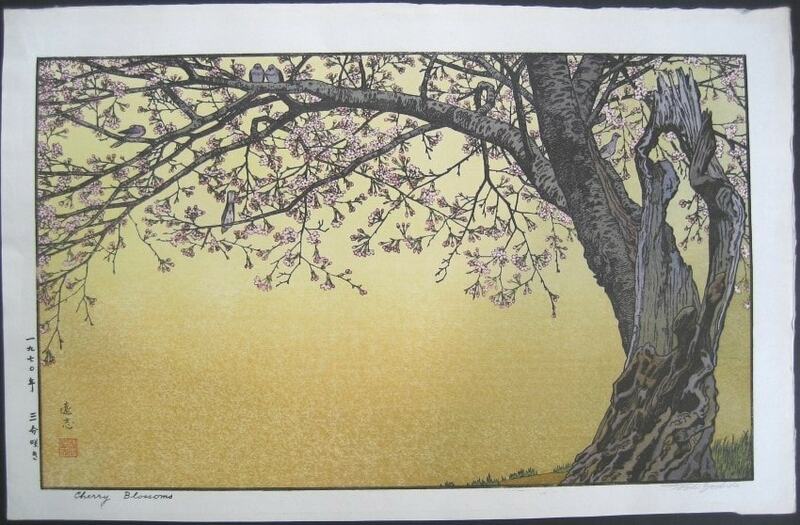 Update:28/11/2012 – These prints were all sold at auction in Japan last night for around Y4200 ($50~) each. 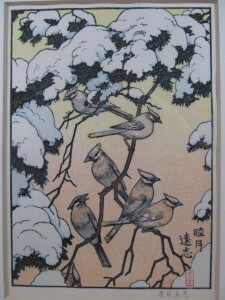 Seven of them are now listed on eBay with a starting pricing of $85USD. At that price the Japan auction winner (not me, I didn’t bid) will make a nice profit but they’re still good value to anyone interested in acquiring them. 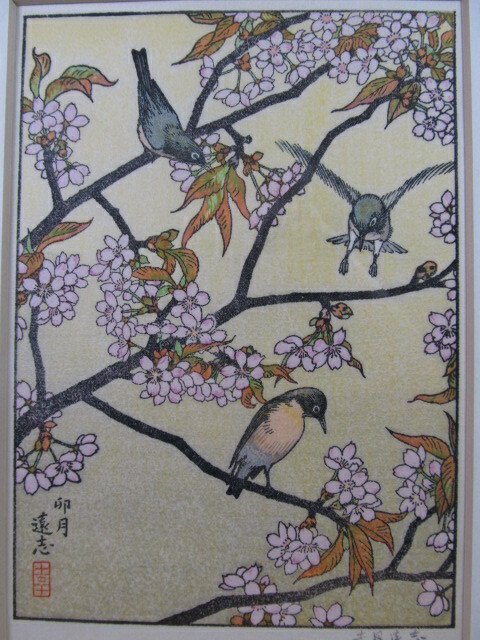 It’s a pity the Japan auction winner couldn’t get the full set to keep it together. 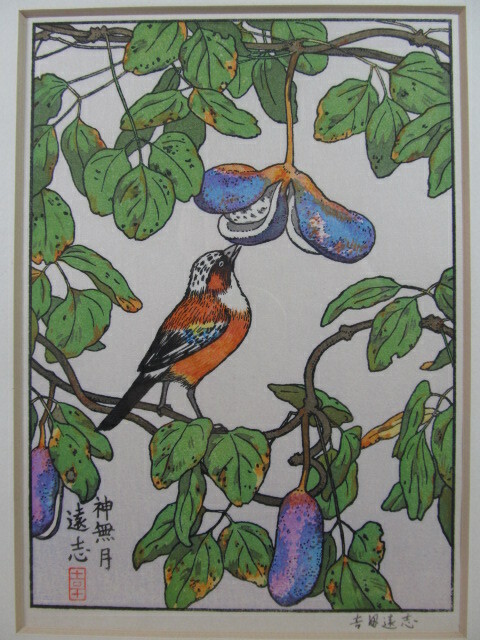 The seven prints are the Japanese version with Kanji labellng on the verso and it will be hard to acquire the other five Kanji labelled versions to complete the set. Interestingly (well to me at least) is that the new owner has listed them on eBay already. 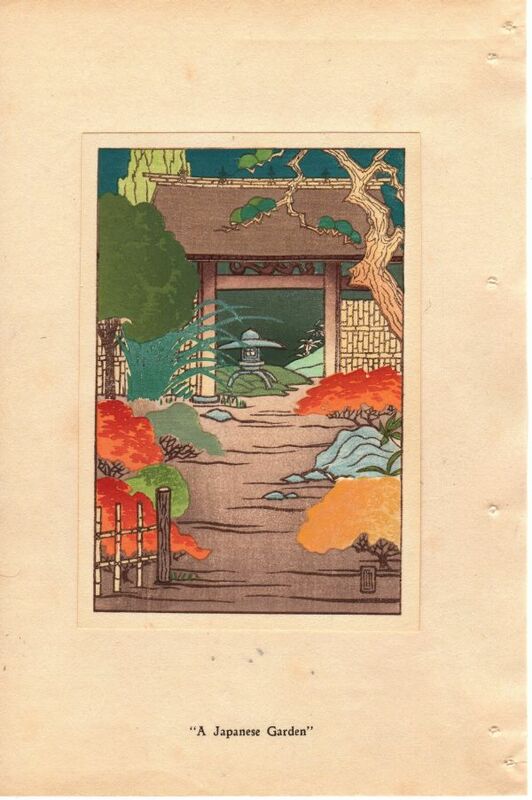 The same pics from the Japanese auction were used on the eBay listings but presumably he/she doesn’t yet have the woodblock prints in their possession? 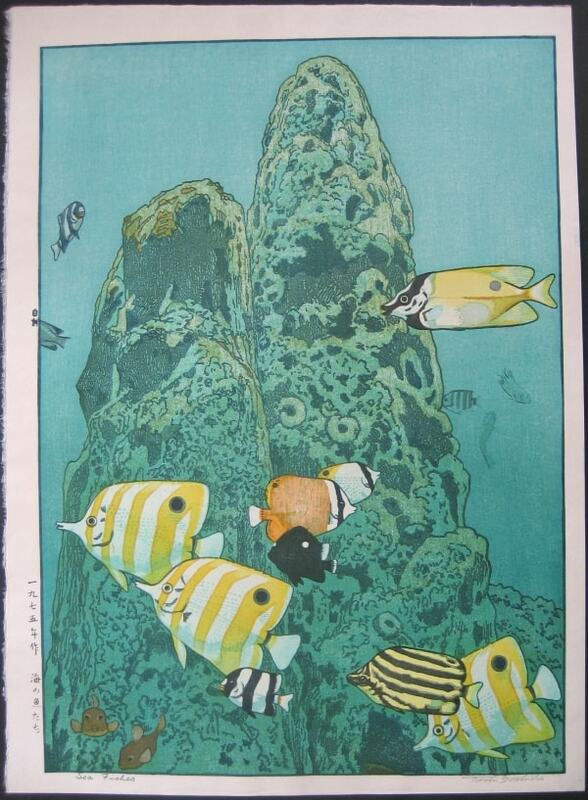 (unless last nights buyer was also the seller). 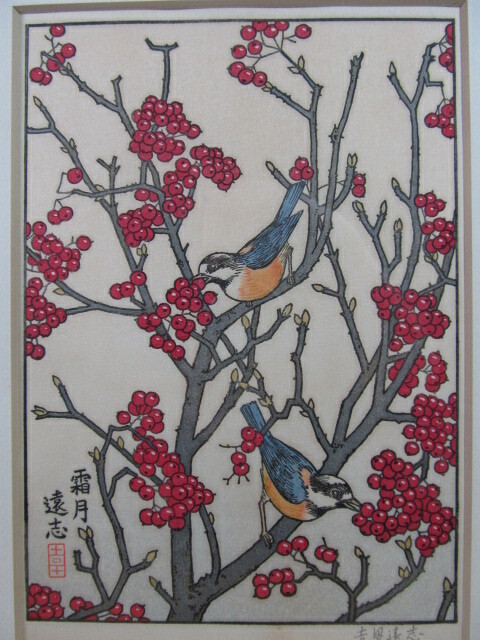 Update:30/11/2012 – 6 Sold on e-Bay for $125 each! 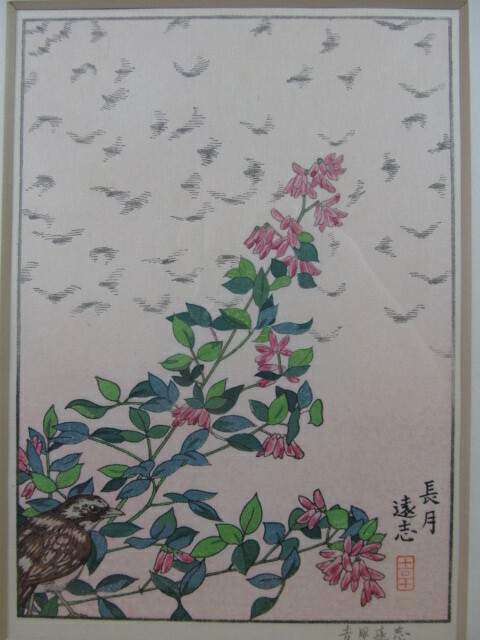 Update:04/12/2012 – Final woodblock print sold on e-Bay for US $234.50. 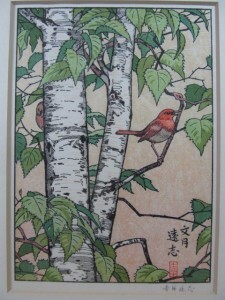 The seventh Toshi Yoshida woodblock print (October – Kannazuki – 神無月) sold for $234.50 last night. 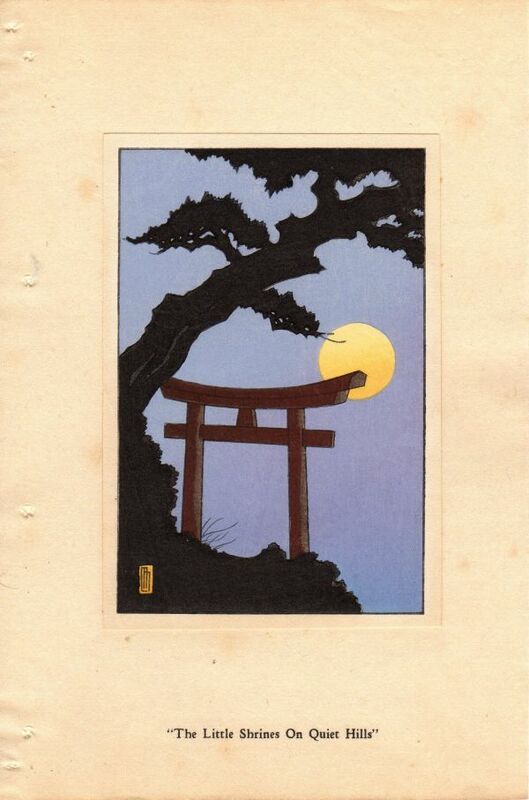 Good explanation and photos, Perfect Japanese Design. 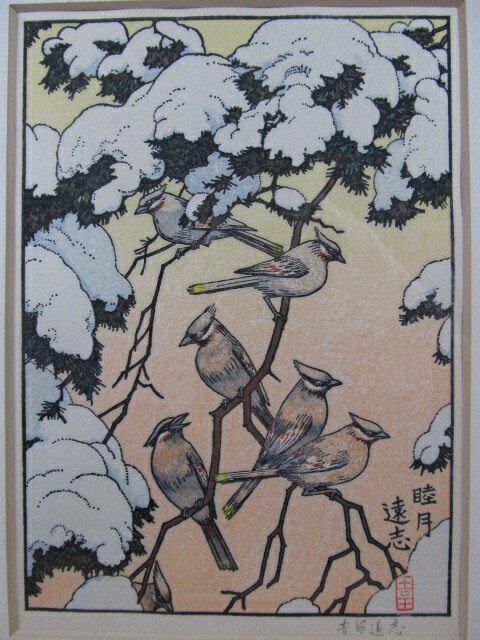 I have a teak-framed print by Toshi Yoshida, circa 1980, named “Pine Tree of the Friendly Garden”. 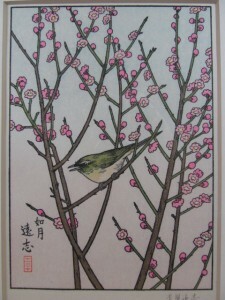 I looked them up on the net in 2006 and several of the 3 prints in this series were available. 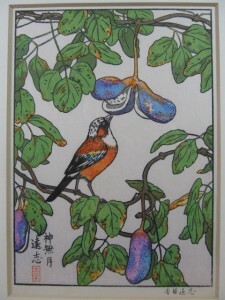 Can’t find any for sale now. 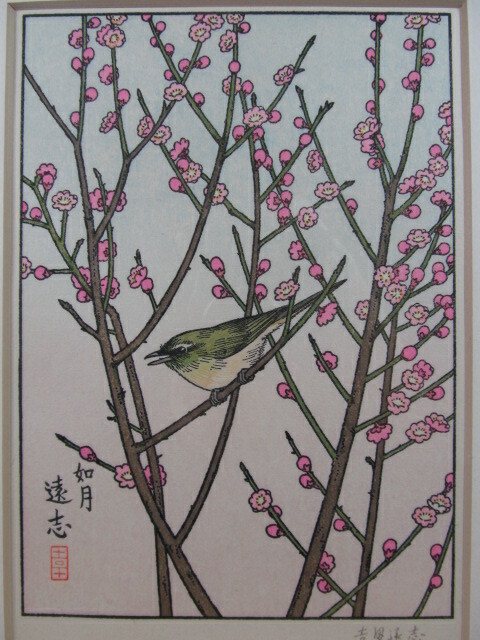 Is anyone interested in this particular print? If so, please email me at: [email protected]……thank you. 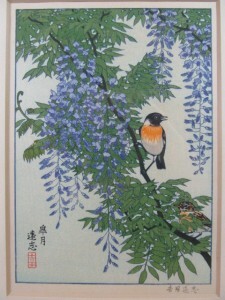 If anyone contacts me about the print I will let you know. 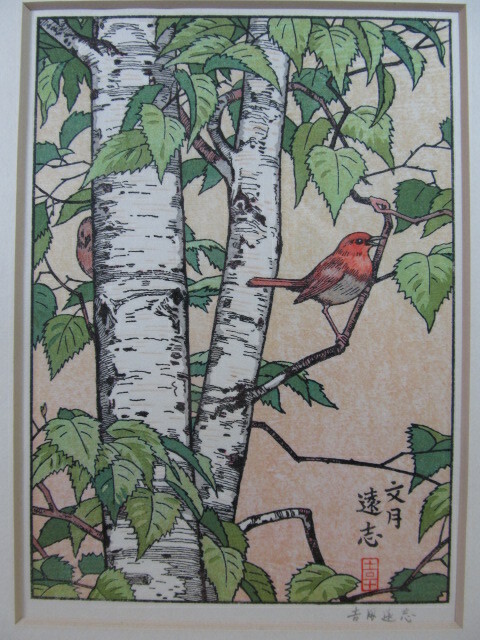 A copy of this Toshi Yoshida woodblock print has just been listed for auction on eBay (http://www.ebay.com/itm/Pine-Tree-of-the-Friendly-Garden-Toshi-Yoshida-signed-/271309806088?pt=Art_Prints&hash=item3f2b531a08) with a start bid of $85 so you may wish to monitor that to see the final selling price. 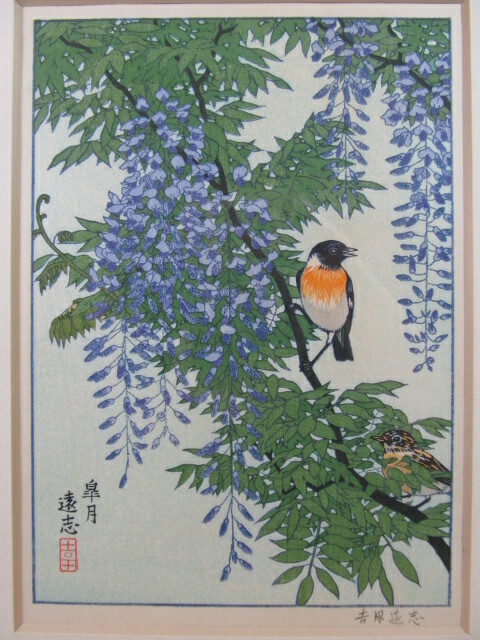 Generally the Franklin Mint commissioned Toshi Yoshida Friendly Garden woodblock prints individually sell in the $200-$350 range although some people do list them MUCH higher. 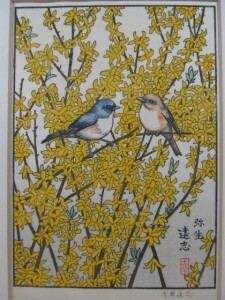 I own the complete set of the The Flowers and Birds of the Oriental Year. The twelve months. 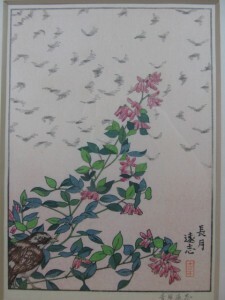 I would like to sell them. I’m just back from holiday hence the late reply. 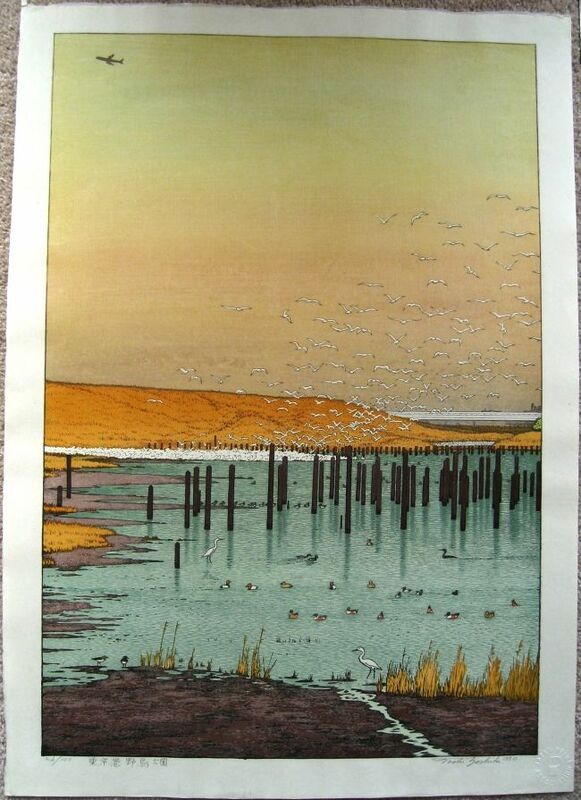 I have seen those prints sell for a bargin $50 each but more typically seen people ask around $1000-1200 for the full set.